The Historic District Commission will be honoring eight properties with preservation awards on Oct. 24, including the one pictured here - 336 Greens Farms Road. The Westport Historic District Commission will award eight properties with 2011 Historic Preservation Awards during a Town Hall ceremony at 7 p.m. Monday, Oct. 24. Six of the honored properties are residential, one is commercial and one is a church. The significance of the awards is to recognize owners who have preserved their properties to continue to honor the history of Westport, according to HDC member Bob Weingarten. The awards will be presented to owners of the following properties: 30 Old Hill Road, 336 Greens Farms Road, 9 River View Road, 11 Broadview Road, 100 Hillspoint Road, 93 Cross Highway, 75 Church Lane (Christ & Holy Trinity Church) and 60 Jesup Road, a former residence transformed into a commercial building that houses Smith Richardson Foundation, which does public policy research. The HDC first began honoring homes with preservation awards in 1976. Nominations are submitted by the public and the winners are picked based on recent preservation activity or work done over a longer period of time. Two of the homes (30 Old Hill Road and 9 River View Road) were designed by famed architect Frazier Forman Peters, who specialized in stone houses. Peters, who died in 1963, lived in Westport from 1919 to 1936. 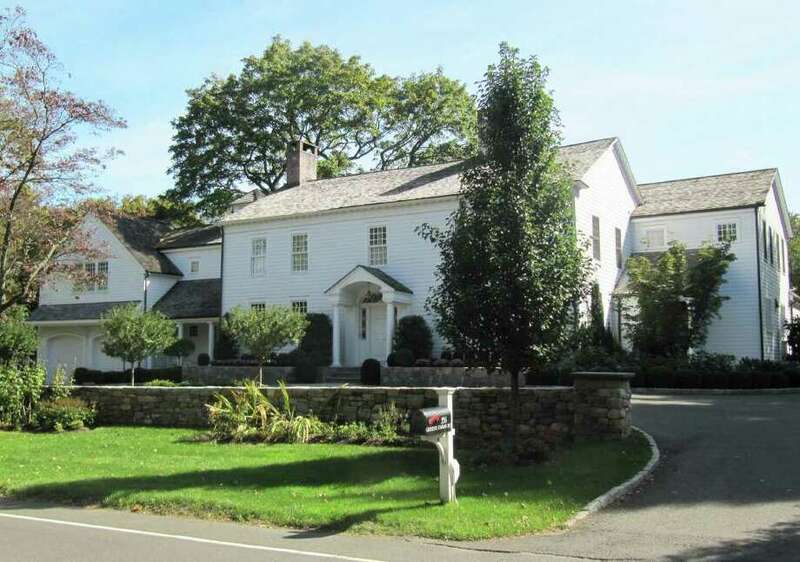 The home at 30 Old Hill Road was built in 1925, and thanks to the stewardship of owners over the years, it remains true to its original design, according to the HDC. The Westport Historic Resources Inventory describes it as a quaint, rambling Tudor Revival house and calls it one of the most architecturally significant, small 20th century homes in town. Nestled into the sloping bank of the Saugatuck River, the structure at 9 River Road has had an addition built, but it is integrated into the original house "with sympathetic forms, detailing and materials," according to HDC material. Carolyn and Joseph Wilkinson, originally from Westport, recently returned to town after living on the West Coast. The HDC is honoring their rehabilitation of 100 Hillspoint Road home, a Colonial Revival circa 1920. The couple took on a challenging renovation, but the "result of that effort is the sensitive preservation of this nice example of the early fabric of Westport," according to the HDC. 60 Jesup Road is being honored for meticulous care of the circa 1840-80 structure, located in the Jesup Historic District. "The gracious office space is an example of how a historic structure can be adapted to business use," the HDC said. Christ & Holy Trinity Church, 75 Church Lane, recently had a major expansion that blends with the original Gothic Revival structure. HDC material noted the church's planning committee engaged the joint committee of the HDC and the Architectural Review Board to come up with a new structure worthy of the original landmark and its location in the center of town. Federal-style home built by John Morehouse Jennings. The house has been enlarged over time, but it has retained its "essence," according to the HDC. 11 Broadview Road features a circa 1925 Tudor Revival designed by New York and New Canaan-based architect Walter Bradnee Kirby, known for French Normandy and English homes in the area. It was renovated recently and its size more than doubled. However, the "new additions were carefully conceived to integrate with and enhance the original form and massing of the Kirby house," according to HDC material. At 93 Cross Highway is the Sturges-Wright House, whose owner, Edward Gerber, asked the HDC to designate it a local historic property. Built between 1764-1767, it is the former home of artist George Hand Wright.